1. 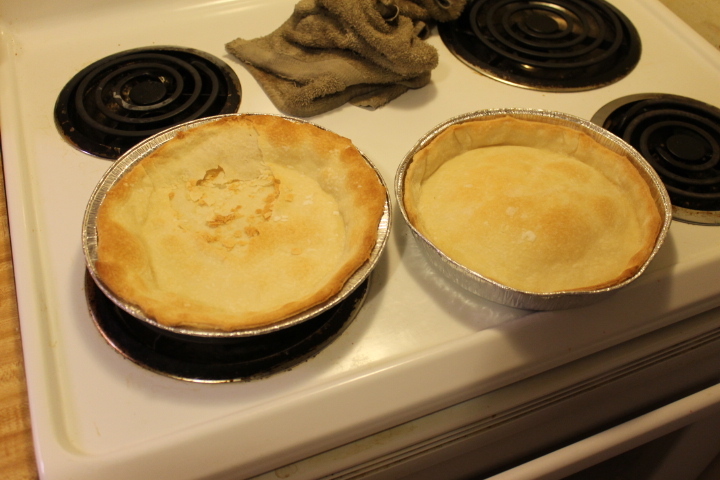 Bake your pie crust in a pie pan. Follow the directions on the box. 2. Take 2 cups of strawberries and slice in half. 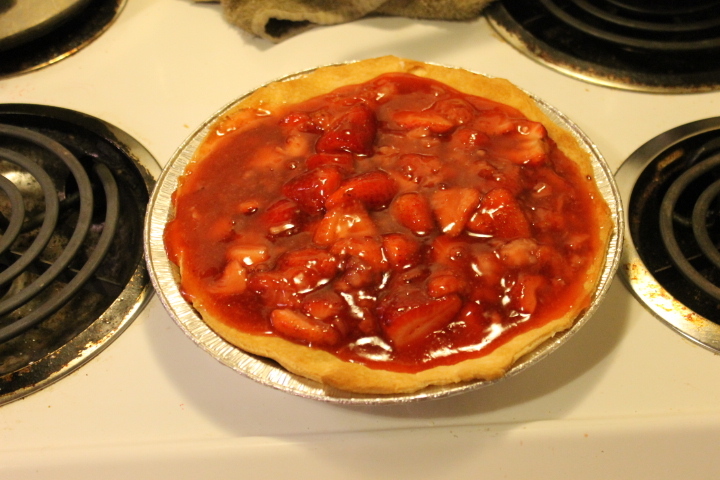 Fill the sliced strawberries in the baked pie crust. 3. 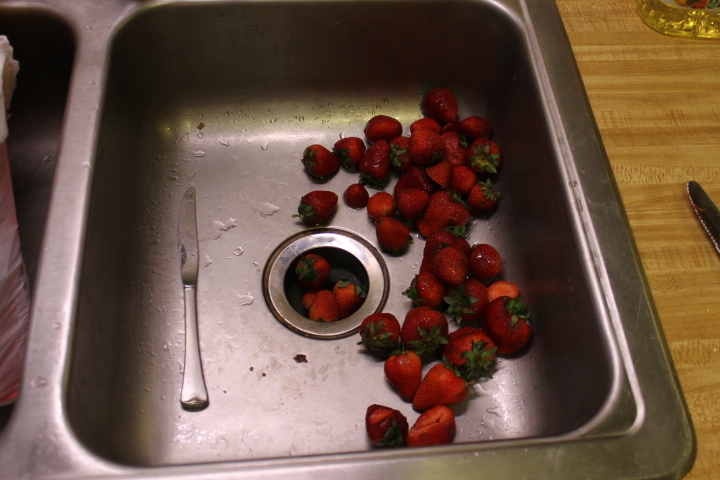 Take the other 2 cups and smash the strawberries. 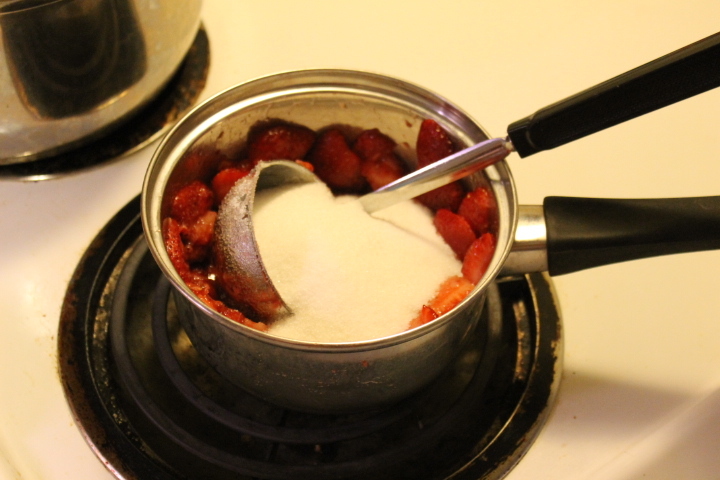 Put the strawberries in a saucepan along with sugar and bring to a boil while stirring! 4. Reduce heat and add in water and cornstarch. 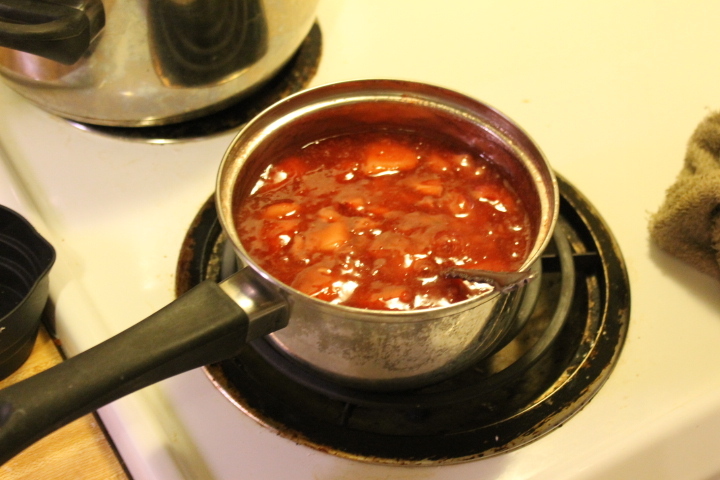 Stir mixture until it’s thickened in around 10 minutes. 5. 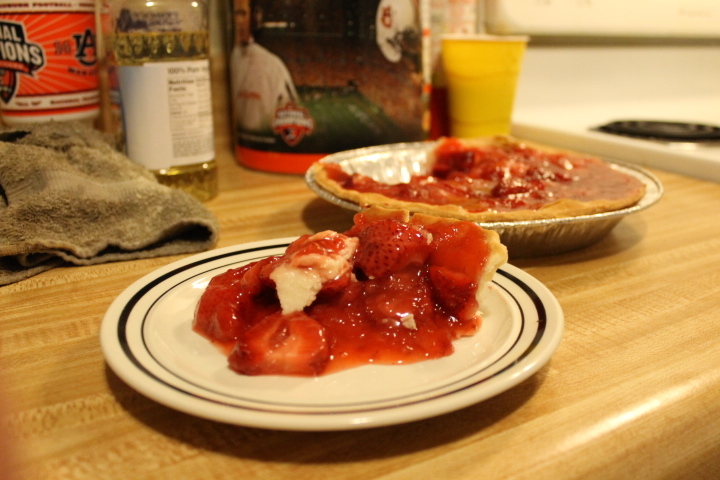 Pour mixture into pie. 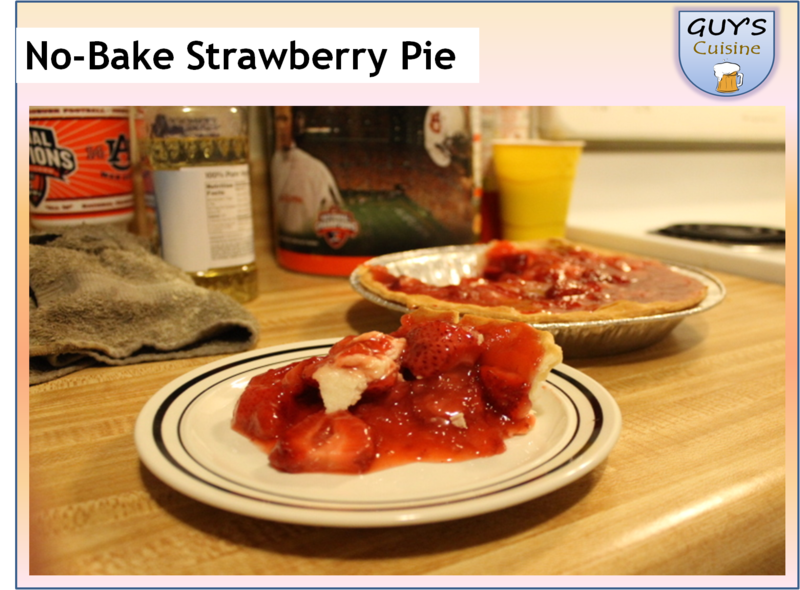 Make sure the mixture inside the pie is even. 6. 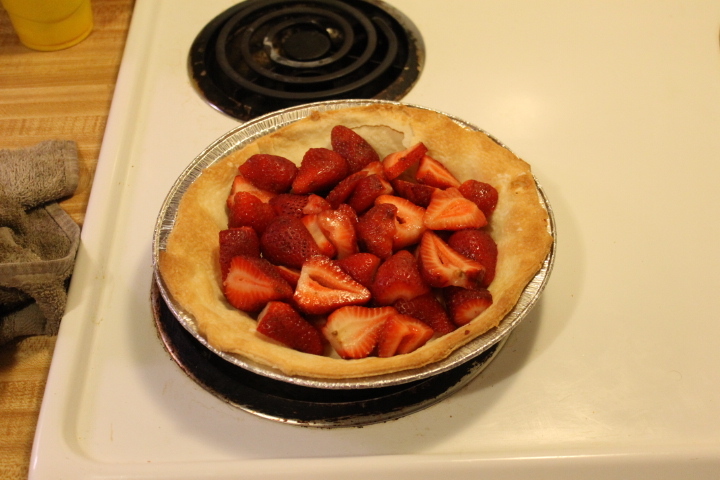 Place pie in the fridge and let cool for several hours or overnight. 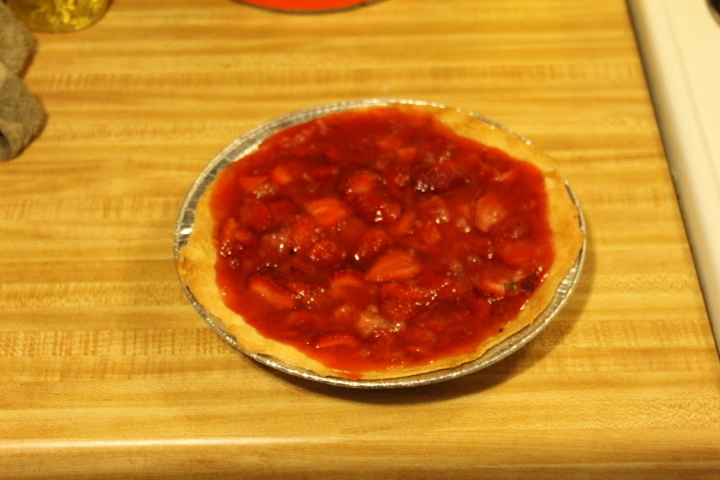 This pie is something anyone can do and it’s super easy! I hope you enjoy!